Discovering Pilates in my late 30’s, after years of debilitating low back pain and carpal tunnel syndrome, was healing and empowering. I felt total relief within a few months of weekly group classes. In the 18 years since, through teaching and learning, I’ve grown to appreciate that movement can locate a person in their body and in the moment and to value the healing power of that experience. 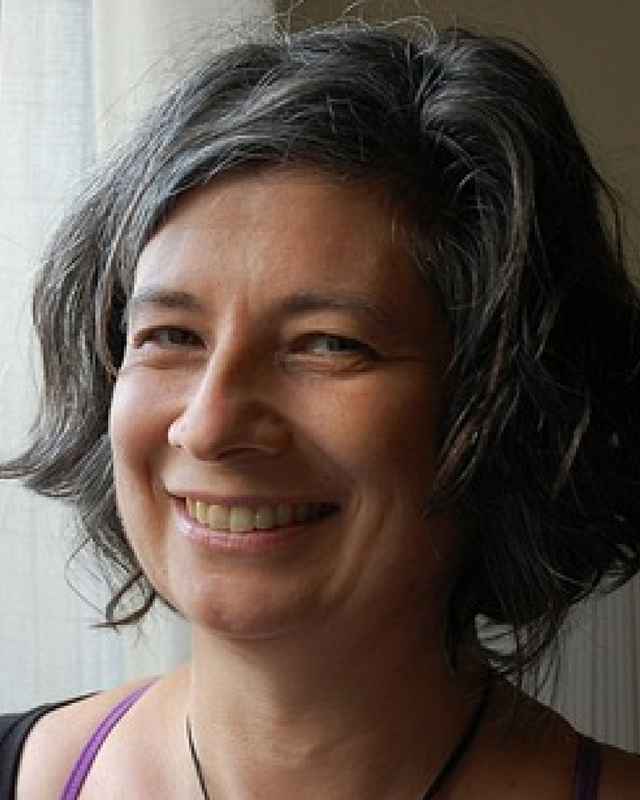 I’ve taught Pilates in Toronto since 2002, having trained and studied at Body Harmonics Pilates. My continued training includes practical study of: Fascial Fitness, Neurophysiology, Hip Replacements, Cervical Spine Protocols, Pelvic Floor Health, Gait Analysis, Sacroiliac Joint Function, Bone Health, Psoas Integration, Moving Through Arthritis, Breathing Mechanics, Handedness and Scoliosis, Pre- and Post-Natal Protocols, Core Integrity. Working with clients of all ages and with a variety of conditions over the years, I’ve been fortunate to witness transformations and significant improvements in alignment, mobility and well-being through Pilates. My personal interest is in understanding the effect that gravity over time (aka aging) has on our bodies and how the right kinds of movement can mitigate those effects. As a teacher, I aim to make Pilates relevant and beneficial to the average person and the body they have today. My classes are always different and are inspired by an appreciation for the amazing design that our bodies are, whatever I’m studying and learning about and most often, the needs of the group or person I have the pleasure to teach. I currently teach Better Bones and Backs, a “bone safe”, Pilates based mat class, adapted to the needs of mature participants. Join me Mondays at 11 am. I’m also available for private sessions, in which we’ll approach Pilates according to your body and needs. Privates are a good way to begin your Pilates journey with a tailored approach or to focus on specific postural, mobility or strength issues. We can utilize the Pilates equipment to further challenge and deepen your core connection, where appropriate, all at your own pace. Ready to book a private? “ I have been taking AM's group and private sessions, for over 5 years. I’ve found her to be both a sensitive and highly skilled teacher. I am stronger and have seen good improvements in mobility and a reduction of pain in inflamed arthritic areas. I have always thought her classes to be more effective than many massages or physio sessions. -Voula L.
I have been seeing AnnaMarie for private sessions almost every week for the past two years. She really knows her stuff! What impresses me most is her close attention to my body and its strengths and weaknesses. Not just occasionally, but in every single session, she observes how I move, and the way in which each exercise affects my joints, balance, and gait. Working under her gentle guidance has improved my mobility, strength and stability.” -Leslie H.
“ I have been a private client for 8 or 9 years, following AnnaMarie from one studio to the next. I have recruited 3 friends who are now happy clients and I haven't stopped singing her praises. Frankly, I can't imagine doing Pilates with anyone else. -SEH. 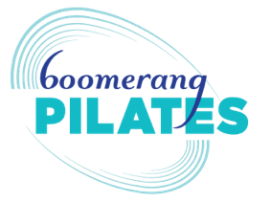 “ I have been coming to AnnaMarie for Pilates for over ten years now and her weekly private class has kept my body functioning as I age (I am now 80). She is very sensitive to your abilities and responses to individual exercises and while constantly encouraging one to do a little better she does not push one beyond what is possible. -M.E.M.